It’s no secret that a mama-to-be feels like she is going to pop any second! 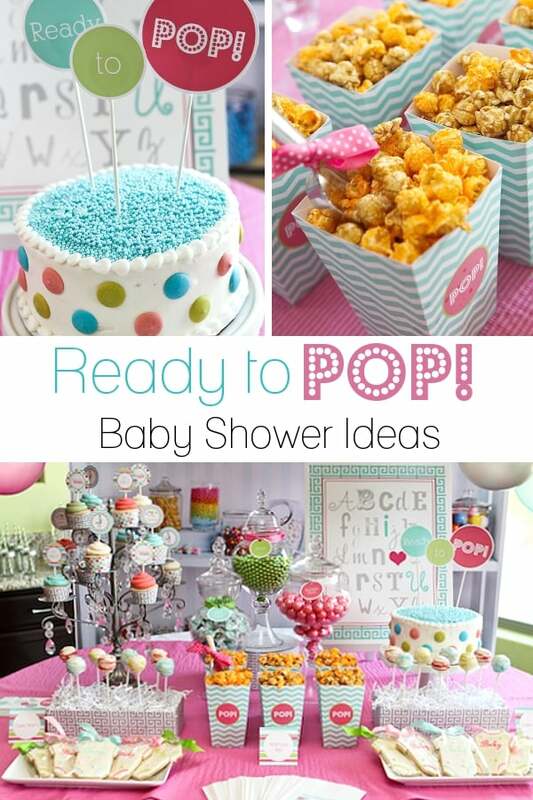 This is the perfect opportunity to throw a ready to pop baby shower! 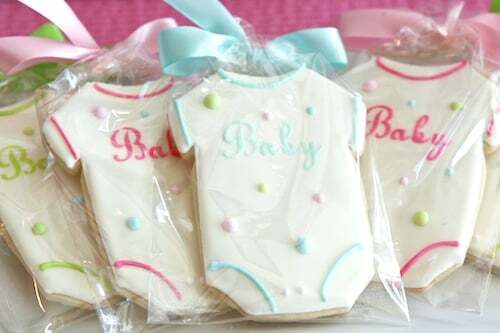 The fun will start as soon as the guests start poppin’ in for this fun baby shower celebration! Once you have an idea of who you are inviting to the shower, it’s time to think about the invitations you will be popping into the mail. Save your gas and some time by poppin’ tags online with small businesses on websites like Etsy. Not only can it be cheaper than buying them in a store, but for one set price, you get a high-quality, personalized digital file and can print as many as you need! Here is an invitation design that will make your eyes pop out of your head, and it comes at a small price, too! 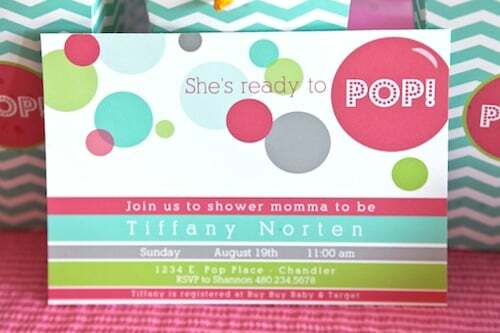 This invite from PetitePartyStudio on Etsy costs only $15.00 and is the perfect invite for your Ready to Pop party! 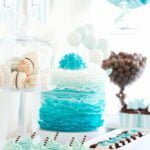 How do you make the baby shower really pop? With cute decorations, of course! Think about anything that pops, or anything associated with popping: Round things, balloons, bubbles, and popcorn! As far as colors and patterns go, these are solely up to you! 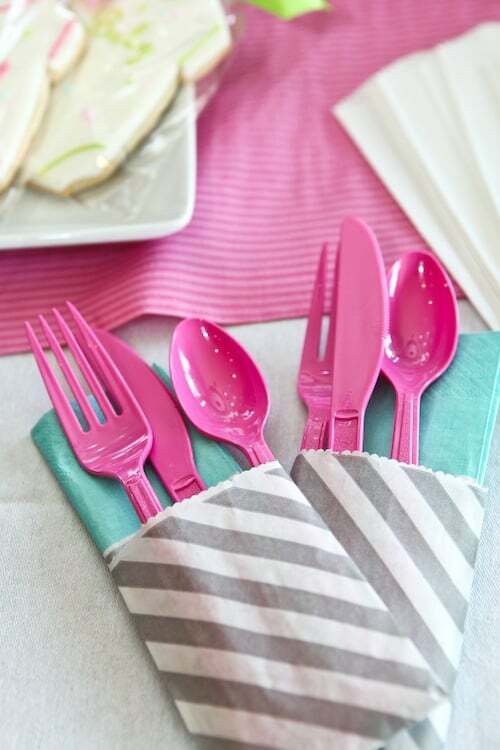 Polka dots are a must, but mixing these with stripes or chevron prints can make it more fun. Popcorn garland: No longer just a Christmas decoration, but this is a very easy DIY decoration, and it’s cheap! Balloons galore: Have lots of helium-filled balloons that coordinate with your chosen colors, and also blow up balloons with oxygen and have them drooping from the ceiling at different heights. Dots, dots, dots! Dots of many sizes and coordinating colors should adorn the walls, tableware, ceiling, floor, and wherever you can put them! 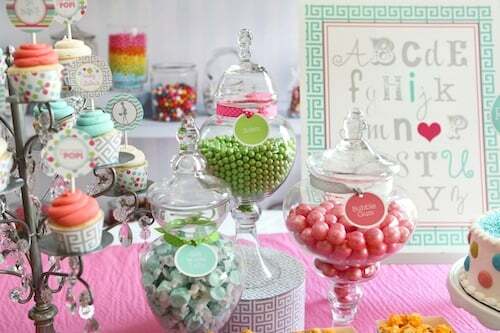 When it comes to food for a baby shower, your guests will literally eat til popping point. 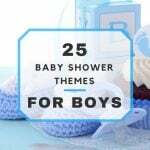 For a ready to pop baby shower, this couldn’t be anymore appropriate! 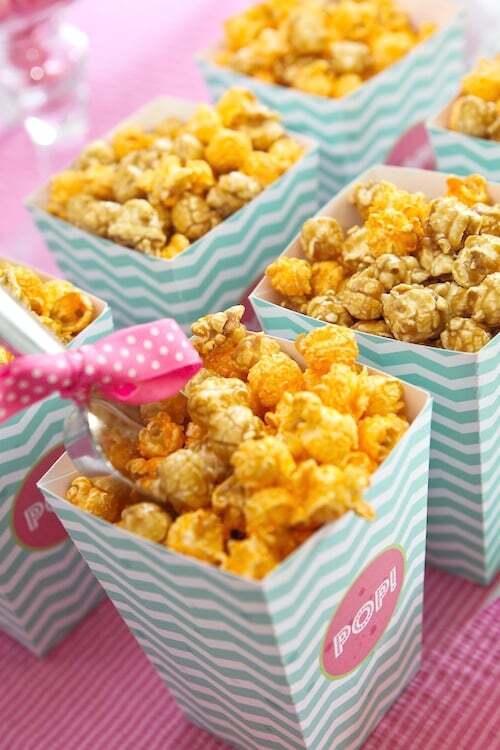 Popcorn bar: Have a smorgasbord of every type of popcorn you can make or find. 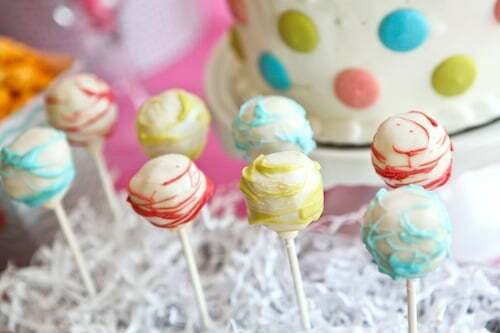 Cake pops: Well the name says it, it’s cake on a stick, dipped in chocolate and drizzled in pretty colors to match your theme! Stuffed shells: Not exactly a “pop” treat, but you need a main course food item; they are stuffed, and that’s close to popping! Get popped punch: Choose any flavor punch you desire, add some free floating fruit, and don’t forget a pop of liquor! 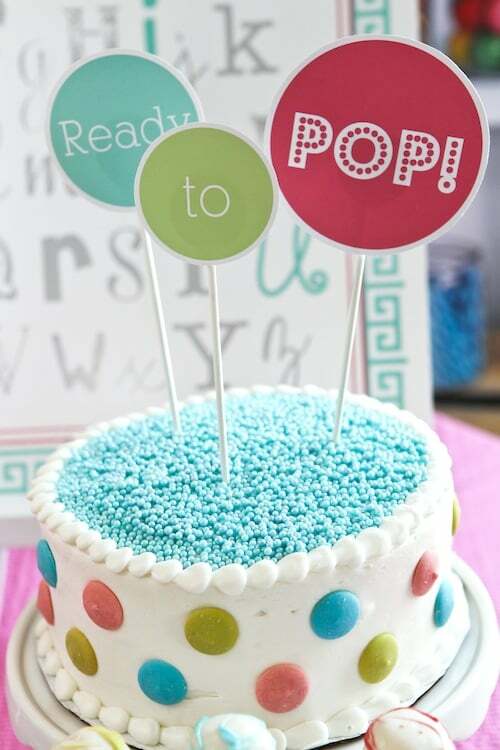 Ready to pop baby shower games should totally coordinate with the theme! What games get you poppin’ at a baby shower? Well, here’s a few ideas! Jump n’ pop: Before blowing up balloons, place a piece of paper in each one with a number on it, folded up. Hang them from the ceiling, so that they double as a decoration. Each guest gets a pin to pop one, and all of the numbers coordinate with prizes so everyone wins! Ball race: Sitting on yoga balls, each person competes in a bouncing race across the room, if their bum comes off the ball, they are disqualified. The first person to the other side of the room wins a prize! Pop the water: Before the shower, water balloons are filled up, each containing a mini baby item, such as those little plastic, confetti-type bottles and binkies. Only one water balloon contains a mini baby though, who’s going to be the lucky one? What pops in, must pop out and all good things eventually come to an end. Be sure to thank the guests and send them home with something they will all love! 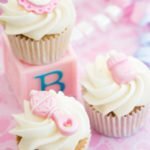 Whether it’s a delicious cupcake or a fancy cake pop, you can’t go wrong with food when it comes to anything baby shower! Especially a little bag of gourmet popcorn… mmmmm! Special thanks to our friends at Petite Party Studio for this adorable design!